Attention LIRR M of E Members! IMPORTANT INFORMATION REGARDING THE NEW FEDERALLY MANDATED RANDOM DRUG AND ALCOHOL TESTING LEGISLATION. 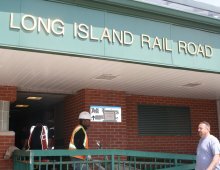 Our office has been notified that the LIRR has received clarification from the FRA regarding the mandate. Based on that clarification the LIRR has submitted an implementation plan which has been approved by the FRA. Based on this understanding between the parties, M of E Electricians who do not currently fall under random testing will remain unaffected and will not be subjected to it. The only time an M of E Electrician would fall under random testing would be if the individual performs work that requires road worker protection. That means members in the M of E Maintenance Department (PEMD) will be subject to testing as they maintain the LIRR's car washes along the right of way, those tracks require road worker protection. We have also been told that a random testing mandate for M of E employees is in the works and will be coming from the FRA in the future. When? No one can be certain. However, what we can be certain of is that testing is coming to M of E. It's not a question of if, it's only when. As we receive more information we will pass it along. If any members have questions, I encourage them to attend the next General Membership Meeting on June 19th. Hope to see you there.